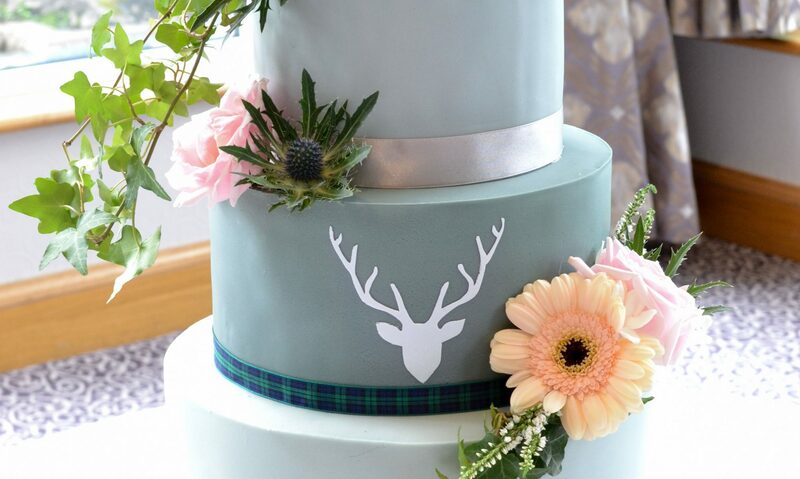 My favourite part of this hunting cake was probably the simplest aspect…the coconut grass. When I was a little girl my mom and granny used to make all of our birthday cakes. Ours as in my sisters and I. I vividly remember my 3rd birthday cake…at least I think it was my 3rd birthday. I remember it was in our creepy house in South Africa, which my mom says I’m far too young to remember that house, but wow I have some intense memories of that place…I digress. Little Miss Muffet was my birthday cake that year. A simple cake, with a little doll sitting on top with a spider beside her and coconut grass for days! When I say coconut grass, that’s really all it was. Dessicated coconut, green food colouring, mix mix mix and RESULT. Green grass perfect to adorn any cake that needed a lawn. It was just recently that my mom mentioned seeing a video of someone using a ‘new and simple way’ of cutting up marshmallows to look like flower petals and then dipping them in coloured sugar and finishing it with a smartie in the middle. We laughed, and it was the same with the coconut grass…new concept? Puhlease, my momma’s been making our birthday cakes like that for over 30 years…so I’m recycling those techniques 😉 I hope you like the video. I’m working on my Sonic the Hedgehog video next, so keep watching! You can subscribe to this blog or my Donut Eat Bakery site so you don’t miss any of my shenanigans 🙂 Please feel free to leave a comment as well. The amount of talent you have us insane! All going amazing and then you start freehand drawing on the actual cake – that blew me away. What. A. Genius!